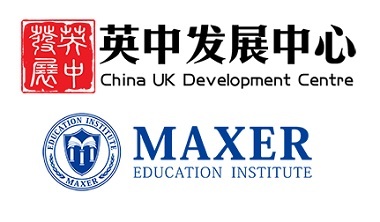 The College has an annual exchange scheme in collaboration with CUDC (China UK Development Centre) and Maxer Education Institute. 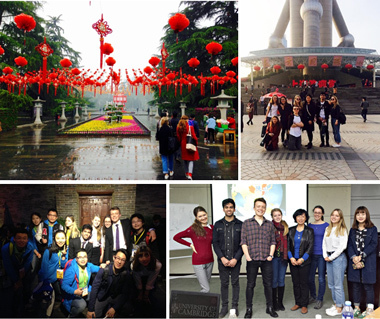 This cultural / academic exchange programme allows 12 undergraduate students to visit several Universities in China, in order to gain insight into the Chinese culture and way of living. The aim of the programme is to promote long-term interests in other cultures and increased international understanding. Undergraduate students from all year groups (including finalists) and across all subjects are invited to apply. The selection is done on the basis of academic excellence and the successful applicants are the ones who are expected to benefit more from the exchange. St John’s students are invited to go to China for 2 weeks. The nominated students will be divided into two groups of six students each. One group will visit China in April before Easter and the other in September (the exact dates to be confirmed). Please make sure that you state in your application your preference or if you would like to be considered for either of the two options. This year’s programme is still tentative but the Easter group will most likely visit Beijing and Chengdu, whereas the September group will visit Shanghai, Hangzhou and Xi’an. **For examples of previous Exchange Programmes organised by CUDC/Maxer, please see the attached documents at the bottom of the webpage. Programme activities during their visit in China. The CUDC Exchange is usually advertised to students in November with a deadline in December. The exact dates will be posted on this webpage closer to the date and a relevant announcement will be made by Student Services. Students who wish to apply will be asked to also attach: (i) a basic CV, and (ii) a personal statement of the reasons why they are interested in the CUDC exchange and how they feel that it would benefit their academic and personal development. Please remember to state which of the two periods you are applying for or if you would like to be considered for either of the two options. In the meantime, Student Services would be happy to respond to informal enquiries and requests for information. The exchange students from China normally visit Cambridge in the Long Vacation. We hope that some of the host students will be able to assist their peers during their visits, if this is possible. The visiting students will have the opportunity to benefit from academic lectures, as well as participate in cultural events, day trips to London and Oxford and visits to leading companies.